questions, and apparently that has the local ruling class in a dither. I would ask that you observe State Bar Rule 4.02 (communication with one represented by counsel). Should you have any further inquiries of County officials or employees, they should be directed to my office. In other words, Mr. Fultz is telling me that he doesn’t want me talking to anyone in the courthouse. 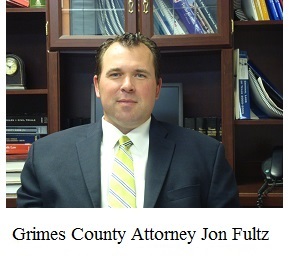 Interestingly, Mr. Fultz copied his email to County Judge Ben Leman, County Treasurer Janice Trant, Sheriff Sowell, and Ms. Nichols, even though I had never attempted to contact Judge Leman or Ms. Trant. In representing a client, a lawyer shall not communicate or cause or encourage another to communicate about the subject of the representation with a person, organization or entity of government the lawyer knows to be represented by another lawyer regarding that subject, unless the lawyer has the consent of the other lawyer or is authorized by law to do so. Rule 4.02(a), Texas Disciplinary Rules of Professional Conduct (emphasis added). I’m not representing a client. In fact, I’m not acting as an attorney in any capacity. I’m just a blogger who happens to be an attorney, and I have a First Amendment right to ask questions as I see fit. I also have a statutory right to file open records requests. Pursuant to the Texas Public Information Act, I request the following information: Documents or records since January 1, 2012 concerning work done on the truck driven by Sheriff Don Sowell. In particular, I would like to know who performed the work, how much it cost, and whether a request was made for bids. If possible, please fax the responsive records to me at 979-536-9523 or send them as an attachment to this email address. Thank you. The amount of invoices that the County would have to go through is astronomical for the information you are requesting. The County does go out for bids for auto repair, but sometimes the awarded vendor is not capable of working on the Sheriff’s vehicle or the wait time to get it back would be prohibitive to the Sheriff’s Department. Accounts Payable started scanning invoices into our system in April of 2014. I can pull any invoices after that time from the system. If you want The County to go to our storage and go through all the invoices for all vendors that do repairs on County vehicles, that will cost you the time of our employees plus $1.00 per page. Please advise as to how you want me to proceed. I told Ms. Nichols to send me only those invoices that already had been scanned. On January 27, 2016, Ms. Nichols sent financial records indicating that the county spent $4,066.50 in January of 2014, $3,412.97 in July of 2015, and $1,055.17 in August of 2015 to repair the sheriff’s 2004 F350 at Sowell Motorsports, LLC in Cypress. That seems like a lot of money to spend on a 2004 truck with 270,000 miles, and my source tells me the sheriff has been sending his truck there since 2011. I have attached some records from the county auditor’s office regarding the Ford F350 that you drive. Someone in the courthouse told me that Sowell Motorsports LLC is owned by your cousin. Is that correct? And do you know whether bids were requested for the repair work? Do you know whether bids were requested for the repairs? If not, do you know who would have that information? Which providers were on the county’s approved vendor list for auto services in 2014? Was Sowell Motorsports on the approved vendor list? Did it have to submit bids or a proposal to be on the list? Thanks in advance for your assistance. I followed up with a voice message on January 29, but Ms. Nichols never responded. Instead, Mr. Fultz responded with his claim that I must direct all questions to him. If you’re a follower of this blog, then you’re probably familiar with my standard operating assumption: people with nothing to hide don’t try to hide nothing. On January 11, 2016, in the comments beneath my blog post about jail inmates who appeared to be working on Sheriff Sowell’s private property, an overwrought woman claiming to be his daughter lamented my “insane post” and “crazy accusations” against her father. That reminded me of a quote from my old high school nemesis, Bill Shakespeare: “The lady doth protest too much, methinks.” (Hamlet). In other words, overreactions usually reflect consciousness of guilt (and yes, I realize that’s not the meaning originally ascribed when Shakespeare penned that line in 1599). In the entire January 11 post, I expressed only one opinion, namely whether the tree in the photos had blown into across the road, as the sheriff claimed, or whether it had blown onto the sheriff’s property. He admitted (in writing) that the inmates were working on his property, so what are the “crazy accusations” that she was talking about? In Texas, if a county official deliberately bypasses the bidding process or approved vendor list, he or she can be charged with a misdemeanor. Sheriff Sowell should be answering questions about the repairs on his truck, but that’s unlikely since District Attorney Tuck McLain is part of the same courthouse clique as Sheriff Sowell. 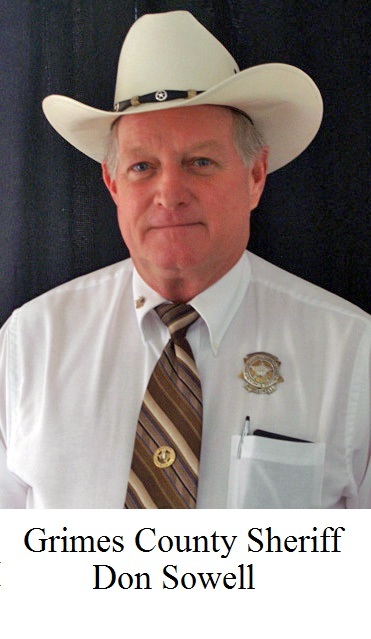 If nothing else, maybe the Navasota Examiner and other local media will start asking the sheriff some questions. Back on September 21, 2015, I blogged about a bizarre raid on the auto shop of Les Shipman, a client of mine in Anderson, Texas. Afterwards, Mr. McLain convinced the grand jury to indict Mr. Shipman and two others on felony charges of engaging in organized criminal activity. Those charges are a joke. In order to convict someone of an organized crime charge, the prosecutor must prove that three or more peopled colluded to violate one or more specific crimes, such as murder or kidnapping. In this case, Mr. McLain is alleging that the three men conspired to alter a car title, and therefore they attempted to tamper with a government record. The problem? The third defendant is auctioneer Israel Curtis, who had no prior relationship with Mr. Shipman or his business partner, Jerry Williams. I interviewed Mr. Curtis, who he told me that he was simply hired to conduct a car auction for two people whom he had never met before, i.e., Mr. Shipman and Mr. Williams. According to Mr. Curtis, the commander of the Montgomery County Auto Theft Task Force, Lt. Joe Sclider, admitted that Mr. Curtis was “caught up” in the arrests because they needed a third defendant to support the organized crime charge. You may recall that the arresting officers made a publicity stunt out of the raid, seizing 54 cars from Mr. Shipman’s property. In a televised interview, Lt. Sclider left the distinct impression that those cars could be presumed stolen, when in fact none of those cars was stolen. Not one. Even now, the only allegation that Mr. McLain can muster is that Mr. Shipman, Mr. Williams, and Mr. Curtis conspired to alter the title on one vehicle, but that title did not belong to any of the 54 vehicles that were seized. So why is law enforcement still holding the vehicles? I sent a letter to Sheriff Sowell on December 7, 2015 asking that question, but neither he nor Mr. Fulz have ever responded. 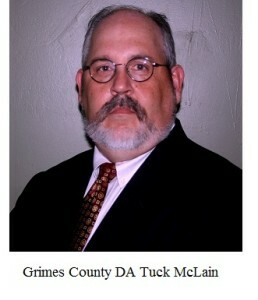 Like most of the Grimes County courthouse clique, Mr. McLain has been in office too long. He has become both lazy and self-important, and he is willing to use the power of prosecution for political purposes. And rest assured, the political motivations for charging Mr. Shipman, et al. will be brought to light. Meanwhile, Grimes County is in need of a political house-cleaning. The County went out for bids on Vehicle Maintenance in the years of 2012-2013. Frank’s Towing & Repair won the bid with the option that the County could extend the bid. However, Sowell Motorsports, Team Navasota and Team Ford were also used for various reasons. We did not do a bid for work on the Sheriff’s Vehicle by itself. That would have been very unpractical. So I guess they can talk to me after all. If I was Les Shipman, I would be worried to have you for an attorney.